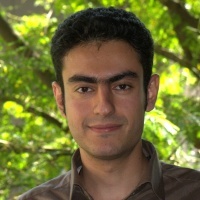 Mahdi Asgari joined The Interface Group in September 2013 for his doctoral studies on water and solute dynamics in the brain. Before that, he obtained his Bachelor and Master degrees in mechanical engineering from Sharif University of Technology, Iran. For his Master thesis carried out under Prof. Ali Moosavi, he employed nanoscale multiphase modeling of surface flows to investigate nanodroplet interaction with solid substrates. In February 2017, he finished his doctoral studies at University of Zurich, and started work as a post-doctoral fellow at the research and development center of Philip Morris International based in Neuchâtel, Switzerland. There, he continued on computational biofluidics with his new research focus on respiratory tract deposition modeling and aerosol dynamics. M. Asgari, D. de Zélicourt and V. Kurtcuoglu, Glymphatic solute transport does not require bulk flow, Scientific Reports 6, (2016). M. Asgari, D. de Zélicourt and V. Kurtcuoglu, How astrocyte networks may contribute to cerebral metabolite clearance, Scientific Reports, 5, 15024, (2015). B. Siyahhan, V. Knobloch, D. de Zélicourt, M. Asgari, M. Schmid Daners, D. Poulikakos and V. Kurtcuoglu, Flow induced by ependymal cilia dominates near-wall cerebrospinal fluid dynamics in the lateral ventricles, J. R. Soc. Interface, 11, 20131189, (2014). M. Asgari and A. Moosavi, Interaction of 3D dewetting nanodroplets on homogeneous and chemically heterogeneous substrates, J. Phys. : Condens. Matter, 26, 225001, (2014). M. Asgari and A. Moosavi, Coarsening dynamics of nanodroplets on topographically structured substrates, J. Phys. : Condens. Matter, 25, 045012, (2013). M. Asgari and A. Moosavi, Coarsening dynamics of dewetting nanodroplets on chemically patterned substrates, Phys. Rev. E, 86, 016303, (2012). M. Asgari, D. de Zélicourt and V. Kurtcuoglu, Does glymphatic solute transport need paravascular bulk flow?, The 8th meeting of the international society for hydrocephalus and cerebrospinal fluid disorders, Cartagena, Colombia, October 2016. M. Asgari, D. de Zélicourt and V. Kurtcuoglu, How astrocyte networks may contribute to cerebral metabolite clearance, The 8th international bio-fluid symposium, Caltech, California, US, February 2016. Whether to stay in academia or leave it, that is the question.